IN STOCK. Ships same busines day. PC Wholesale has SNPP9RN2C/8G in stock and ready to ship. 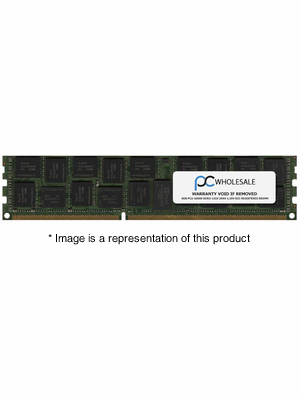 All of our memory modules are major brand (Micron, Elipida, Samsung, etc), depending on availability. Every module is tested in house to insure that your 8GB PC3-10600 DDR3-1333Mhz 2Rx4 1.35v ECC Registered RDIMM will arrive in perfect physical and working condition. Every memory module we sell comes with an industry leading LIFETIME advance replacement warranty. If you have any questions about this module, or any other items, feel free to contact us toll-free at 877-282-1150. We have memory specialists ready to assist you. We offer a 10% discount and Net30 terms to all government and educational institutions, with a purchase order faxed to 408-247-8983.